A simple farmer did not expect to discover what appeared to be an ancient stone with Viking style graphic symbols engraved on it in the state of Minnesota. Many people were saying he was lying or just simply crazy. 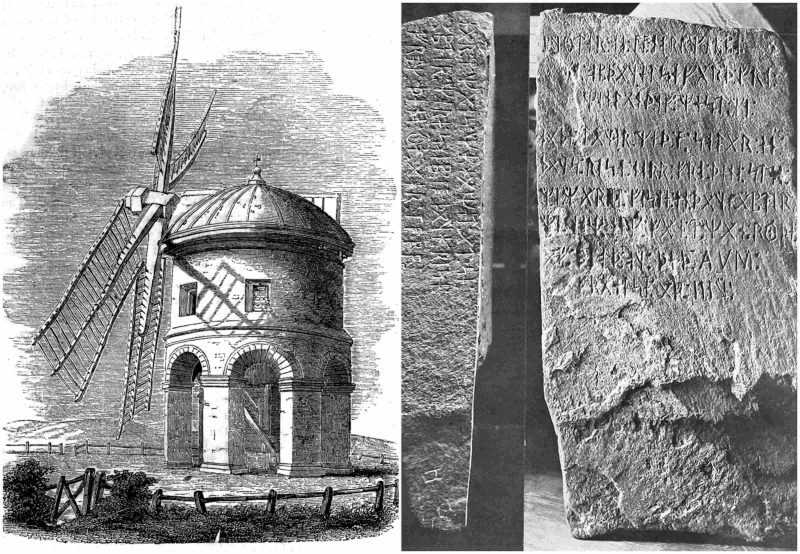 Yet around 100 years later, more discoveries have proved the stele was actually the real McCoy. It was, however, actually left there by the Knights Templar instead of the Norsemen. Not many books have ever really rewritten history, yet The Hooked X: Key to the Secret History of North America, by the writer Scott F. Wolter, is definitely one of them. The author of this revisionist book is a professional geologist and not a historian. All these discoveries made by Wolter in the previous years and described in Hooked X are so powerful they make us rethink our views of the American past. The main focus of his revelations is that debatable, even contentious, artifact noted as the Kensington Rune Stone. For those who are not familiar with it, this is a greywacke sandstone stele that weighs 200 pounds. It was found by the Swedish immigrant farmer, Olof Ohman, while he was clearing his land in the township of Solem, Minnesota, in September of 1898. It was lying face down and was twisted around the roots of a 30-year-old aspen tree. The 30 by 16 inch slab was covered on the face, and one side had some sort of runic writing. Ohman brought it to the closest town, Kensington, where his discovery was put on display at the local bank. A terrible copy of the engravings was sent to the University of Minnesota, where the translation was attempted by Olaus J. Breda. It took more than 100 years for scholars to correct the imperfect copy and to properly translate the text. The front face had read, “Eight Gotlanders and 22 Norwegians on reclaiming/acquisition journey far west from Vinland. We had a camp by two shelters one day’s journey north from this stone. We were fishing one day. Though Breda was a professor of Scandinavian literature and languages, his knowledge was limited. He with haste proclaimed Ohman’s finding a transparent joke. 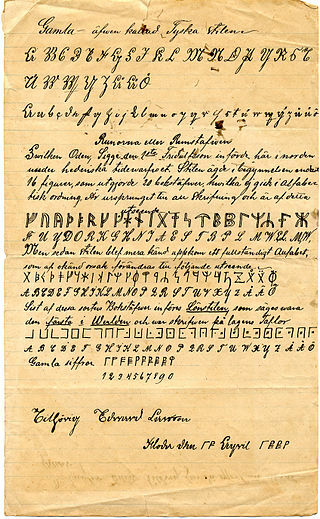 Breda was backed up by Norway’s head archaeologist of the late 19th century, Oluf Rygh – he and his coworkers at Northwestern University at Evanston Illinois proclaimed that the whole translation of the rune stone was entirely based on wrong analysis of the copy. This ruined Ohman’s life in a time when a man’s word was truly his bond. He had never attempted to make any money off the rune stone. He often times cursed the day he discovered it. He swore he had told the truth about the finding until the time of his passing. With his family reputation ruined, he was ridiculed and ignored by society to such an extent that one of his daughters committed suicide. While archaeologists and linguists were still insisting that the Kensington Rune Stone was a fake, a geologist at the Minnesota Historical Society, Newton Horace Winchell, had taken a detailed physical examination of the object for the first time. The test he had done marked Ohman’s version of events. Confirmed by the weathering stone, it was indicated the engravings were around 500 years old. 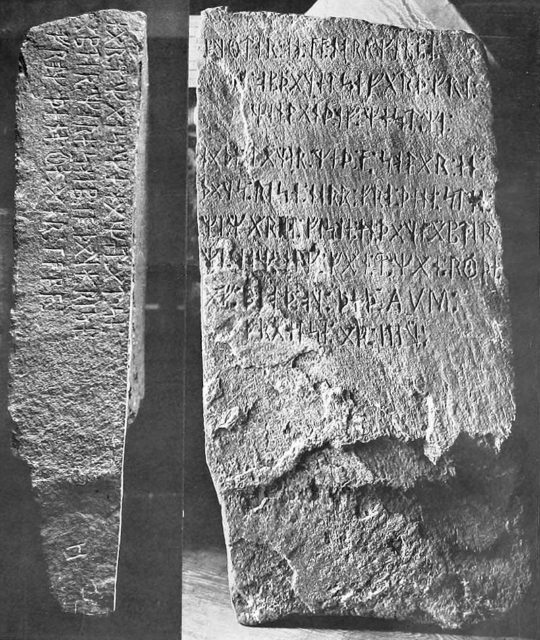 Winchell concluded there was immense support for an actual rune stone dating back to 1362. His report in 1910 was hidden beneath the louder words of the skeptics against him. They had convinced most of the world that the Kensington Rune Stone was forged. A few amateur archaeologists had their own doubts, and questioned if other local proof may support the rune stone’s truth. It was not until 1937 when they stated doing hydrological studies that it was cocluded for the state of Minnesota that the area where the stone was discovered was flooded with lakes and streams during the 14th century, as well as the 500 years before that.